For most entrepreneurs and small businesses, there are times when important meetings need to take place, which means a business meeting venue will be needed. Whether you need a small boardroom or a convention centre, finding the right meeting space for your company or clients can be difficult. A meeting can be the difference between raising investment and botching a pitch. As well, even a meeting with company employees can be a waste of time if the venue doesn’t meet their needs. For companies that do not have their own meeting rooms, it’s hard to know what exactly is needed, but there are some considerations that can help you figure out the right venue for you. Here are several factors to consider before booking your meeting venue. Location is key to any meeting. Ideally, you want to choose a location that is easy to get to and accessible for your meeting attendees. If you’re a company based in Ottawa and are meeting with investors from the city, then your top priority should be booking a meeting venue within the city. Look for venues that are easily accessible by either car or transit. As well, choose a venue which is close to stores, cafes, restaurants, or other attractions which might be of benefit to your meeting attendees. As well, consider venues close to highways or transit lines for ease of access. Second only to location, you want to make sure that your meeting venue has Wi-Fi capabilities for attendees and guests. Using the Internet is now crucial to many aspects of business. It is likely that your company’s presentation, notes that attendees are taking, networking, and other crucial components of the meeting will rely on tools that require Wi-Fi or Internet capabilities. Not having Wi-Fi with your venue can severely limit or impact what you can do in a meeting. The general rule is that the bigger your meeting venue gets, the farther in advance you may have to book it. For a large conference, you may need to book a venue months or even a year in advance. For a smaller meeting room, a week may be sufficient, but it also may not be. It’s in your best interest to book ahead of time. Details are important when it comes to your meeting or conference. Some venues allow you the flexibility to make changes based on your needs. For instance, a conference room which allows you to divide the room into two sections using partitions can allow you to break up a bigger conference or meeting into smaller groups. As well, you may only need a meeting room for an hour, so look for flexible booking arrangements that do not require pricey, day-long commitments. It’s important to find a meeting space provider that is willing to work with the client’s unique needs. This includes flexibility with dates, meeting room inventory and sizes, and catering options, as well as provides qualified staff and support services if necessary. With the opportunities created by technology today, it’s important that your meeting venue allows for and even provides access to cutting-edge technology. Using technology can make meetings more efficient and conferences more involving. Look for a venue that has access to projectors, video-conferencing equipment, dry erase boards, and other presentation tools. Reputation is important, so choose a venue that presents a professional image to your meeting attendees. This does not mean only professional-looking environments. It can also include services like catering, professional greeters, and access to reception areas. The cost of renting a meeting room in Ottawa can vary depending on a variety of factors including the length of the rental, number of expected attendees, services required, and types of equipment used. Most rental companies offer flexible pricing and payment plans so that you have more options available to you and you don’t feel pressured into signing a contract for a meeting room rental package you can’t afford. The whole point of renting meeting rooms, after all, is to help your company save money by avoiding leasing a permanent meeting space that’s only going to be used occasionally. Set a specific and itemized budget to rent a meeting room space that covers all of your requirements without any additional or unnecessary costs. 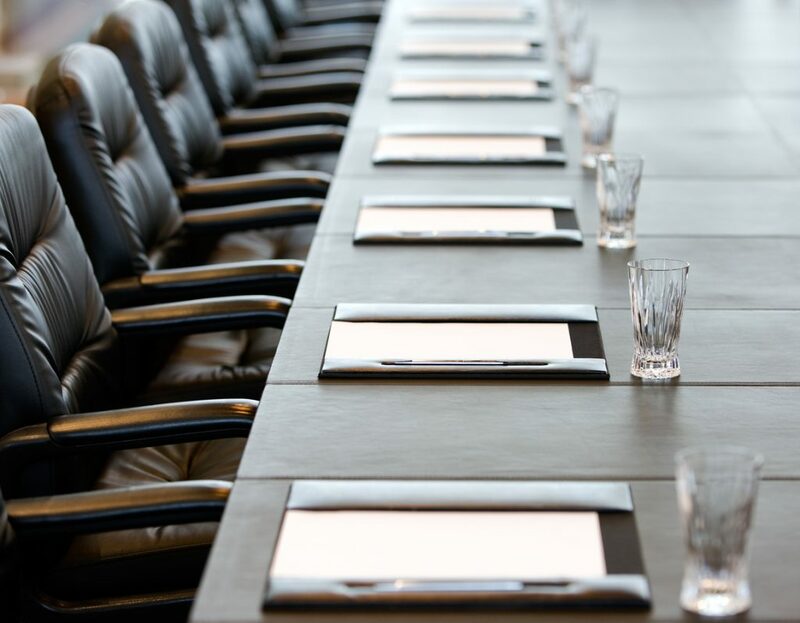 Determine the exact size of the meeting room you’ll need prior to choosing a rental location or provider, as this will inevitably influence the price of renting the room as well as the amenities required for a successful meeting. Consider the nature of the meeting and what kind of equipment you’ll need in advance. Wi-Fi is almost always a requirement in this day and age as most business professionals need to be able to access the Internet on their mobile devices at a moment’s notice. If you’re holding a presentation or conference or pitching a new idea to your fellow associates, then you should look into meeting rooms that come equipped with projection screens. Make a list of all the different types of equipment you require and then ask the different rental companies if they provide these items. To rent meeting room space for an event, make sure you take the time to personally examine the infrastructure and don’t just rely on the images provided on the rental company’s web site, as those might be outdated. You want to make sure that everything is in proper working condition in order to make a good impression on your clients, employees, and associates. Setting up a strong and comprehensive contingency plan is beneficial in case last-minute, unexpected changes take place. If, for any reason, you need to cancel, postpone, or make changes to the meeting, then at least you can rest assured that your money won’t go to waste or that you won’t have to forfeit your meeting space. Make sure that the meeting room rental company you hire allows you to make necessary changes as they come up so that you’re not left in the lurch. Innovative Professional Offices offers seminar and meeting rooms, along with mailbox services, virtual offices and fully-furnished executive office suites for rent in Ottawa and Mississauga. To learn more, visit www.InnovativeProfessionalOffices.com.